Nuclear power - unaffordable, or lowest cost energy available? Cape Town – Eskom should cut down on its coal power network – including curtailing work at Kusile – and should not embark on any new nuclear, gas or coal building programmes if it wants to save itself from financial ruin, a new study has found. This comes as an Eskom report seen by Fin24 and EE Publishers shows that the power utility is projecting a R3.55bn loss by the end of its current financial year. It also shows the power utility’s poor governance has left it teetering on the edge of insolvency, with only R1.2bn of liquidity reserves expected to be in hand at the end of the month. Amidst Eskom's governance and financial crisis, President Jacob Zuma has repeatedly said that South Africa is committed to developing new nuclear power stations at a pace and scale it can afford. Critics, who believe it could cost over R1trn and that would threaten the country's fiscal framework policy, want the nuclear policy scrapped altogether. 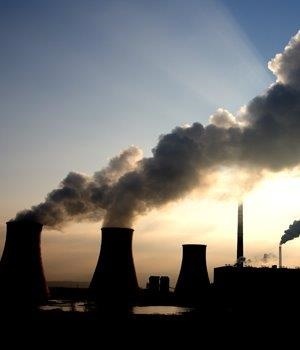 Now, the new research report, which was published on Thursday by Meridian Economics, shows that Eskom should decommission its older coal-fired power stations and consider curtailing the Kusile construction programme in order to save costs. These interventions can be achieved without affecting security of supply, it shows. The study also shows that South Africa does not need a nuclear, coal or gas power procurement or construction programme. Instead, it should accelerate its transition to cleaner, cheaper, and more sustainable renewable energy when further capacity is required. “Stagnant demand and Eskom’s large power station construction programme has resulted in a growing surplus of expensive generation capacity,” Meridian Economics managing director Dr Grové Steyn said in a statement on Thursday. “At the same time, the operating costs of Eskom’s coal-fired power stations have consistently increased. This has forced Eskom to implement the highest tariff increases in recorded history, and has led to a growing solvency and - at the time of writing - a liquidity crisis. A system analysis undertaken by the Council for Scientific and Industrial Research Energy Centre found that new coal and nuclear plants are simply no longer competitive against the falling costs of renewables and associated technologies, the report said. For the foreseeable future no gas fired power stations are required (peaking gas turbines can run on liquid fuel). Despite Eskom’s dire financial circumstances, it nonetheless has not yet committed to decommission any of its older plants, even as they approach the end of their lives and the costs of running the older stations increase, Meridian Economics explained. “With Eskom’s on-going governance crisis, it appears that government and Eskom are partially paralysed, and could struggle to take the right decisions in the public interest. It is therefore critical that the National Energy Regulator (Nersa) ensures that these issues are investigated and addressed, and that Eskom is only allowed to recover efficient costs in its tariffs,” Meridian Economics said. “If Eskom’s financial crisis continues to worsen, as we suspect it might, more drastic steps must be considered in light of the systemic risk to the state and the entire economy,” said Steyn. “If the options of substantial tariff increases and further government bailouts are exhausted, Eskom will have to urgently find other ways to maintain its solvency and avoid a liquidity crisis. “In the case of such a national crisis, the only option will be to reduce the haemorrhaging of cash. The question will be: how can this be achieved without letting the lights go out? “The level of surplus capacity that Eskom now anticipates for the foreseeable future is at least equal to what an entire Medupi or Kusile power station provides, or more. Drastically curtailing Eskom's power station capital programme (beyond Kusile 5 and 6) might be the only way to restore its solvency, explained Steyn. “This will come at a high cost in terms of the penalties to be paid to construction companies some time in the future, and in terms of the impact on personnel working on the construction projects. “But, in the increasingly likely scenario of such a national crisis, this strategy could contribute to rapidly improving Eskom’s cash flow situation and lender confidence in Eskom and the state,” Steyn said. In this scenario South Africa might well face a stark choice: abandon a large part of the Kusile (and possibly part of the Medupi) project, or allow Eskom and possibly the state to default on its financial obligations and pay an enormous economic and social price, Meridian Economics explained. “In either case it now appears critical that Eskom puts in place a process to plan for the urgent decommissioning of its older power stations and prepares for the possibility that its capital programme will have to be curtailed. “Furthermore, it will be unrealistic to expect Eskom to drive these decisions on their own accord. It will be necessary for responsible politicians, key government departments, Nersa, consumers and other stakeholders to act in order to protect the integrity of South Africa’s power system and the national finances,” said Steyn.